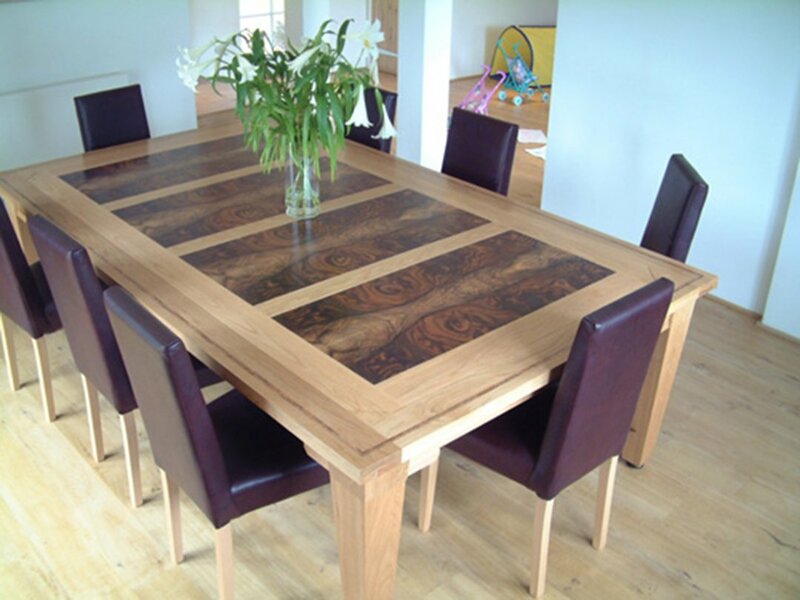 One of the most popular variations of our renowned Rollover: the legs are square tapered, and like the table frame, solid European oak; the dining surface features beautifully book matched burr walnut veneers; and a delicate inlay around the table top is a great finishing touch. Available in four sizes, the Bentley Rollover features a precision-engineered safety mechanism enhancing the ease & elegance with which the table rolls over to transform a beautiful dinning or conference table into a top-quality playing table. 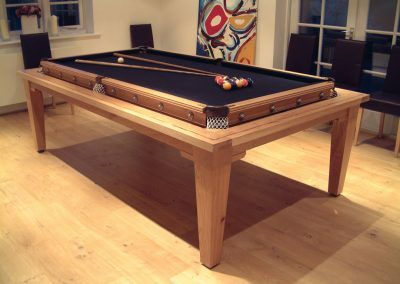 The billiard table is a single slate bed with solid wood frame & cushions, full-size pool or snooker rubbers, hand covered in English wool cloth. 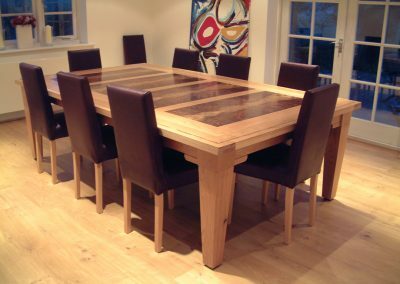 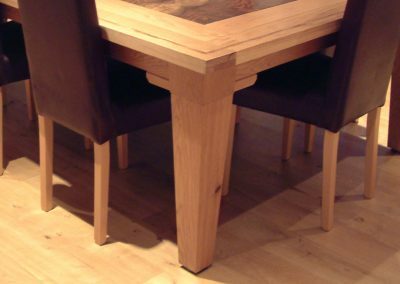 The dining table is a solid timber frame with solid top or beautiful inlaid panels. The choice of woods, metals, legs, style, finish, cloth colour, pocket leather is yours.